“George Zimmerman, the Florida ‘neighborhood watch‘ volunteer armed with a gun, has been acquitted of charges of second-degree murder and manslaughter in the shooting death of unarmed African American teenager, Trayvon Martin. 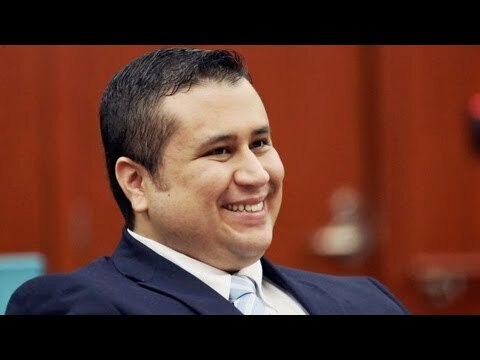 George Zimmerman was found “not guilty” of all charges in the shooting death of Trayvon Martin. But is this right? Is this justice? There were many, many times after the moment of Martin’s death that were not handled properly, and now we as a people must deal with the implications the “not guilty” verdict sets forth. Once again Anonymous proves it’s point by showing how vulnerable hate-mongers truly are. 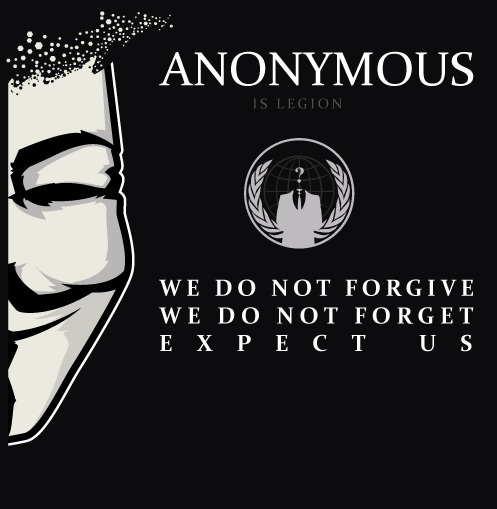 A Conservative Christian group called The Florida Family Association, is being targeted by the international Internet hacktivist collective known as Anonymous for fear and hate mongering. The FFA and other groups have apparently pressured Lowe’s and 65 other companies into pulling advertisements from a television program about American Muslims. Although some companies listed by the FFA as being part of their effort, have denied pulling ads from TLC’s show. On Monday, a hacktivist identified as ih@zcAnNONz , working under the banner of Anonymous and LulzSec issued a Pastebin release with email and IP addresses of Florida Family Association members who receive newsletters. The Hacktivist also posted a sample of members credit card information which was offered as concrete proof of the hack. As a bonus, Monday afternoon the Florida Family Association website was not available for some time, presumably because it was under siege, a victim of a DDoS (distributed denial of service) attack conducted by sympathetic Anonymous enthusiasts. Could Lowe’s be Next? I want all of your followers to know though their information is NOT SAFE in your hands until you address your security issues.I AM ALSO GOING THROUGH ALL OF YOUR EMAILS RIGHT NOW…YOU SEEM TO GET AS MUCH OR MORE HATE MAIL THAN GOOD MAIL…HOW DOES THAT MAKE YOU FEEL??? (Eric Deggans – Tampa Bay Times) When the conservative Florida Family Association helped persuade home improvement chain Lowe’s to drop ads in the TLC show All-American Muslim, the Tampa-based advocacy group saw pushback from a Muslim-centered civil rights group, a California state senator and actor Kal Penn. But on Monday an FFA official said a computer hacker who claimed association with the infamous hacker group Anonymous forced them to shut down their website, amid concerns sensitive data could be stolen. Caton said the hackers worked through 15 levels of security to achieve a small breach into their online systems, prompting their webmaster to shut down the site to avoid further incursion. Since news broke nationally that Lowe’s pulled its advertising from the program, Caton has been inundated with media attention, providing interviews for NPR, CNN, ABC News and Fox stations throughout Monday. But the executive director said he has also gotten a death threat, and the group received an anonymous email about 12:30 p.m. Monday alerting them their site would be attacked. A Twitter user with the handle @ihazcAnNONz posted messages Monday taunting the Florida Family Association, claiming to have downloaded information from their servers. For weeks, the Florida Family Association has asked people to send emails to sponsors of the TLC show, asking companies to drop their commercials from the show. 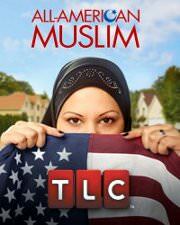 The Florida Family Association’s email alerts denounce the program as “propaganda” that “hides the Islamic agenda’s clear and present danger to American liberties”; the show focuses on five Muslim families in Dearborn, Mich. But the decision by Lowe’s drew criticism from rap impresario Russell Simmons, Harold and Kumar film star Kal Penn and the Council on American-Islamic Relations, among others. Liberal advocacy group MoveOn.org created a petition asking advertisers to stay with the show and Lieu called for a boycott of Lowe’s, even after the company apologized for the controversy on its Facebook page. The Florida Family Association Executive Director David Caton came back with a normal Fear and Hate Mongering response, which now appears on their website……..
No further proof is needed of the potential for vicious action then exactly what these folks are trying to do to this web site! The attack has been extremely mean spirited. In a country that supposedly embraces free speech, those that oppose our postion have no qualms about destroying our free speech. Yet, these same folks claim the Internet should not be restricted in any way. How the two conflicting postions can be reconciled in their minds is beyond comprehension. Because of our real concern for the terrorism that is a way of life for some folks, we ourselves have become victims. Because we urge others to be vigilant, we become the targets. Don’t let it happen folks, take a stand before it is too late. Please support Florida Family Association. Well Davy boy, if you can’t stand the heat, what the hell you doing in the kitchen? Please Take Time To Like Occupy Cyberspace-America Autumn on Facebook here! Stacey Hessler is a 38-year-old mother of four from Florida who was so inspired by the Occupy Wall Street movement she moved to Zuccotti to join the protestors. I’m starting to think that Fox News hates the Occupy Wall Street movement almost as much as they hate President Barack Obama, and that’s really saying something. One does not have to think hard to find examples of the anti-liberal vitriol that oozes from this cable news channel on a daily basis. What amazes me is the lengths that the Fox News channel will go to, just to discredit the fledgling Occupy Wall Street movement. Their latest example came just this morning when they tried to demonize a woman from Florida named Stacey Hessler, who is participating in the Occupy Wall Street protest. Stacey isn’t someone famous, she’s actually just a normal American citizen, exercising her right to Freedom of Speech. The creepy thing is, Fox News did a background check, and research into their Expose’ of a normal American, in their overreaching effort to stigmatize the entire Occupy Wall Street movement. Watch this Fox News segment entitled ” From Mom to Mob”. As if the Fox News segment on Stacey Hessler wasn’t bad enough, another Rupert Murdoch/NewsCorp entity, The New York Post, also jumped into the fray attacking Stacey Hessler in their own expose, calling her a “middle-aged flower child”. The New York Post writes……. The Florida mom who ditched her banker husband and four kids to live in Zuccotti Park squalor is a hippie homemaker whose neighbors are horrified by her latest antics — but are hardly surprised that she flew the coop. The Village Voice ran a story regarding the attack on Hessler……..
​Stacey Hessler is a 38-year-old mother of four from Florida who was so inspired by the Occupy Wall Street movement she moved to Zuccotti to join the protestors. Hessler made the trip almost two weeks ago and has been living in the park ever since. The New York Post reports she “ditched her banker husband and four kids, ” but would the paper turn Hessler into some sort of caricature? Why, they would never do that to the “Flower-power flake,” as she is described in the headline that graces the top band of the Post‘s website when you open the story. The scary thing about this is…everyone who is participating in the Occupy Wall Street protests, are part of a family. They are your neighbors, your co-workers, brothers, sisters, sons, daughters, mothers, and fathers. Today it’s Stacey Hessler getting demonized, tomorrow……..it just might be you.